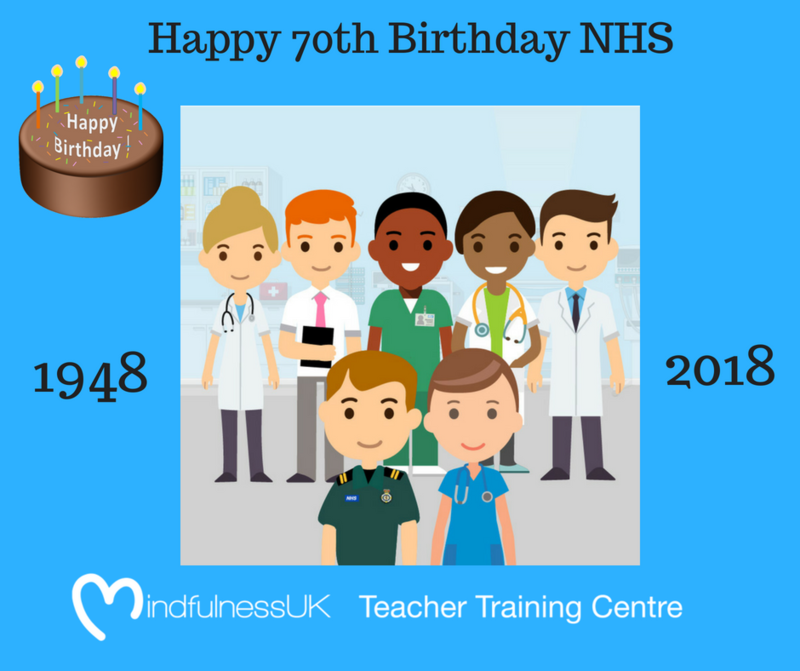 Happy 70th Birthday to The NHS…. On 5th July 1948 the NHS was launched by the then Health Secretary Aneurin Bevan, at Park Hospital in Manchester. For the first time hospitals, doctors, nurses, pharmacists, opticians and dentists were all brought together under one umbrella to provide services for free to all at the point of delivery. Healthcare in Britain before 1948, and how to access it, had many drawbacks. In 1911 the chancellor Lloyd George established a system of National Health Insurance. This offered benefits to the contributor below a certain level of income, but did not include dependants. These contributions were not graduated according to level of income but a flat rate that everyone had to pay, approximately half by the employee and half by the employer. In return for these payments individuals received cash benefits for sickness, accident and disability. They were paid at a fixed rate and distributed through insurance companies. Contributors also had the right to free but limited care from a doctor on a local list and yet were only entitled to hospital treatment when suffering from tuberculosis. Lloyd Georges Insurance Service was not the only health care system in place pre 1948. The Poor Law offered relief to the most impoverished people and workhouses provided their own infirmaries. The other major hospital system offering care to patients before the advent of the NHS was that of voluntary hospitals. The majority of these were initially supported by donations from wealthy subscribers who had the right to sponsor patients for admission. By the 1930’s these hospitals found themselves in a financial crisis. The British health care system pre 1948 did not work. It was very much a patchwork of various systems that were just not accessible to the majority of people in need. Whilst the working man may have health cover their families didn’t and often had to resort to over counter and self medication in times of sickness. If a real health emergency occurred many families suffered huge major financial problems trying to pay for treatment. By 1952 prescription charges were introduced of one shilling which today equates to 5p and a flat rate of £1 for dental treatment. Prescription charges were abolished in 1965 and they remained free until 1968 when the charges were reintroduced . 1953. Our DNA structure was revealed by James D Watson & Francis Crick, two Cambridge scientists. Knowing the structure of DNA allowed the study of diseases caused by defective genes. Along with Rosalind Franklin and Maurice Wilkins this finding heralded a huge advancement in medicine. 1954. Smoking and lung cancer link was established. 1958. Polio and Diphtheria vaccination programmes launched. 1960. The first UK kidney transplant was performed. 1961 The contraceptive pill was launched. 1962. The first hip replacement was performed. 1967. The Abortion Act was introduced making it legal for a termination up to 28 weeks. In 1990 the limit was lowered to 24 weeks. 1972. CT scans revolutionise the was doctors can examine the body. 1978. The worlds first baby is born as a result of IVF. 1979. The first successful bone marrow transplant on a child takes place. 1986. First AIDS health campaign. 1987. Heart, Lung Liver Transplant. 1994. NHS organ donor register. 2002. Primary Care Trusts launched. First Successful gene therapy. 2006 NHS Bowel Cancer Screening Programme, Vaccination of babies against pneumococcal meningitis begins. 2007 Introduction of robotic arm leads to groundbreaking heart operations. 2012. first person in the UK to have a hand transplant. There have been so many ground breaking events in the past 70 years of the NHS that have all contributed to our health and wellbeing today and without them many people would have died prematurely. We have been blessed with incredibly knowledgeable people who have over the years helped to make our NHS the most special and trustworthy resource in the world with their expertise and commitment to helping everyone. Today this beloved institution, as it has since its birth, is packed full of dedicated staff who give their lives and souls to us in order to make us well. These amazing people who every day go into work never knowing what their day will bring, no matter how tired they are, no matter what problems they have themselves, will draw on all their strengths and resources to enable their patients to get the best of care and kindness given in a loving and respectful way. These incredibly special people need to be looked after, nurtured and thanked from the bottom of our hearts for all they do, for all they have to deal with, for all the horrible things they have to see, because without them and our NHS we would be lost. Happy 70th Birthday NHS…we never want to imagine our children will never have you to support them in their hour of need.